City Bella?s 15-story Tower and 4-story Plaza buildings offer a wide variety of one- two- or three-bedroom floor plans, many with balconies or expansive bay windows. 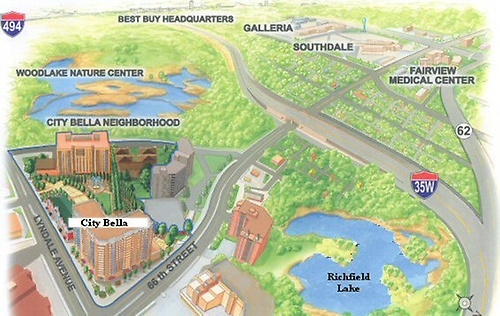 Convenient Location in the heart of Richfield. 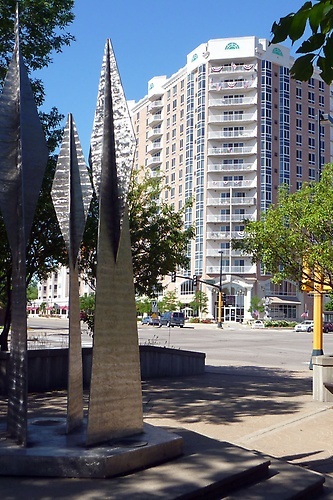 The Hub, with its 30 shops is a two-block walk, and we?re just minutes away from the Mall of America, Southdale, Southtown, and shopper favorites like Target, Cub, Lund?s, Byerly?s, Lakewinds Coop and Kowalski?s. Wood Lake Nature Center is a block away, offering year-round opportunities to enjoy the wonders of nature on its miles of hiking paths and cross-country ski trails.